Sebastian has a broad commercial and chancery practice covering all the main areas of work in Wilberforce Chambers. He has particular experience, both as an advisor and advocate, of large-scale litigation relating to pensions, commercial and company litigation, financial services, trusts, insolvency, professional negligence and property disputes. Sebastian is frequently instructed on cases with an international element and is used to working with multi-jurisdictional legal teams. He deals with complex multi-party litigation and is regularly led by Queen’s Counsel both within and outside Wilberforce Chambers. Sebastian appears regularly in the High Court and County Courts representing clients in both interlocutory applications and trials. 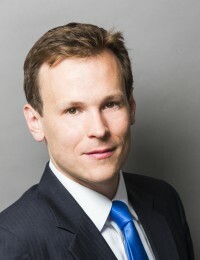 Sebastian was ranked as “highly-commended up-and-coming” in Legal Week’s 2011 “Future Stars of the Bar”. Law scholar at Christ Church College, Oxford, where he was awarded the Lovell’s Prize for his undergraduate degree and the Hugh Pilkington scholarship for his bachelor of civil law degree. Awarded the main Lincoln’s Inn Scholarship, the Lord Mansfield scholarship, as well as the Hardwicke scholarship and the Buchanan Prize for obtaining a distinction in his bar school exams.